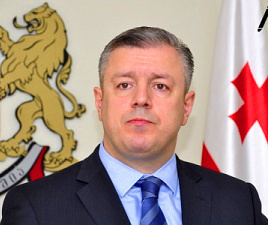 TBILISI, DFWatch–Georgia’s Economy Minister Giorgi Kvirikashvili said Sunday that a week of halted money transfers will not hamper the flow of money sent home by Georgian migrants in Greece. Banks in Greece shut down last week after the Tsipras government’s negotiations with the country’s creditors broke down and are unlikely to reopen this week unless the European Central Bank approves emergency loans. Greeks backed Tsipra’s decision Sunday with 61% voting ‘no’ in a referendum, where resistance against further austerity measures was an important reason. There is no official data on how many Georgians are living in Greece legally or illegally, but some estimates put the number at about 200,000. The migrants are sending money home to their families in Georgia. So-called remittances make up around 6% of the country’s gross domestic product; more than foreign investments and grants. Kvirikashvili explained that money usually is sent home once a month, or once per three months, so it is not a big problem with one week’s interrupted bank transfers. On the other hand, he thinks it will be a problem that Georgians living and working there might lose their job. “It is easier to find a way to send money than to keep a job,” he said. In the first five months of 2015, money transfers from Greece fell by USD 15-16 million; an 18 percent reduction.